Incised to base “Elis 72” in brown underglaze. No 72 on base with signature. One of these has a light brown glaze sprayed over with a deep bronze. Miloslav Kratochvil was born on the 18 feb 1918 in Prague Czecoslavakia. He studied chemistry at university for 2 yrs before working in Czech railways. He lost that job in the Communist coup following World War 2. Being warned of his imminent arrest, he and Dagmar, then his fiancé fled to Austria. 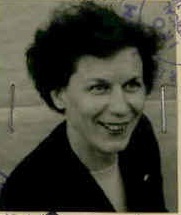 She was born Dagmar Kraus, in Prague on the 22nd Feb 1910. She was a ceramic worker. Miloslav had been married before, but divorced in 1940. 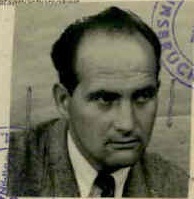 He and Dagmar were married in Austria on the 9th of December 1950, in one of the numerous refugee camps they were moved through. During this time, he worked as a bricklayer and quarryman. On arrival in Austria in May 1950 he gave his occupation as chemist and ceramic artist. They arrived in Melbourne aboard the migrant ship “Fairsea” on the 24th April 1951. Like many others, they were transported to the Bonegilla Migrant Camp in northern Victoria. They eventually moved to Collingwood then Abbotsford, both inner Melbourne suburbs in September 1954. Much of their earlier work was incised "MDK". A lot of this earlier work was still in their home when they died and was sold by their nephew who inherited the estate. If you want some, it can be purchased from an antique and collectibles store in Dromana. They were among the group of artists from Europe settled in Australia post-war and were able to educate a generation of Australians to modern art, particularly abstract art.’ Two of these were Miloslav and Dagmar who founded “Ellis Ceramics”. This pottery was set up by them in a small workshop in their yard at 85 Nicholson Street in Abbotsford, Melbourne. Ellis was said to be a variant of Dagmar’s maiden name, but I am not familiar enough with Slavic languages to match Kraus with Ellis. They began selling to department stores and exporting products to Japan. They marketed this pottery under the Ellis name until the late 1970s. These sgraffito ramekins are glazed grey over a brown base, and then the surface has been heavily incised to reveal the brown underneath. This is a characteristic feature of Ellis work. Each piece is hand-decorated. The decoration is sgraffito (scratched) Wheat, incised with the signature “Ellis” and the number 72. This ubiquitous grey harvest ware is modernist in style, exhibiting a simplicity of colour, line and form that characterises a lot of work coming out of Europe, especially West Germany, in the 1950s, 60s and 70s. Their pieces with greyscale sgraffito decoration are not unlike the work of David and Hermia Boyd.